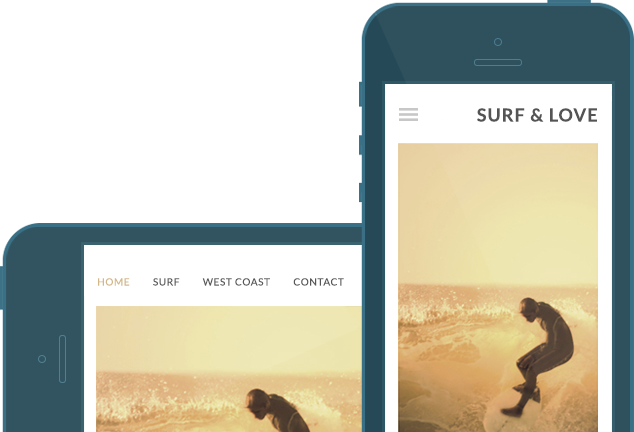 Create a site that looks great on big screens, phones and tablets. Add text, images, movies and all kinds of social content to your page. See how it looks on a phone or tablet instantly. Your site will work with any domain name you own. You can also buy a domain name from us or choose our unlimited plan and get a domain for free. Only fresh, modern designs are good enough for template library. Change your template any time to give your site a whole new look. Ask our in-house experts as many questions as you like. Take PayPal and credit card payments with our simple checkout process. Select one of our paying plans and use your site with any domain name you like. try sitejam now No credit card required. Our professional designers make sure that every site is something to be proud of. New designs are released frequently and included free with our unlimited plan. We think everyone deserves a site that adapts to mobile and tablet devices. Change between full screen, mobile and tablet views without missing a beat. Rotate each device 90 degrees and see your content adapt instantly. Tablets are the fastest growing device for web browsing so it's important to check your site looks it's best. Tablets are the fastest growing device for web browsing. Publishing your blog posts is quick and easy. Our drag and drop editor takes the hassle out of blogging so you can focus on the content. Write quickly with our easy to use editor. Share your blog post in seconds. Publish your blog post in two clicks. Set up your online shop and start taking payments within minutes. Our easy to use drag and drop editor allows you to build your store front and start selling quickly. Sitejam won't slow you down with any technical stuff you don't care about. Just choose a design, add content and you're ready to publish a great site. Start with a small site and grow it when the time is right for you. Add more pages, drop-down menus and additional content at anytime. Publishing your site takes just two clicks. There are no extra steps to make your site ready for mobile phones and tablets. Twitter and Facebook feeds are a great way to engage visitors to your site. You can also add maps, forms and many more items to any page. Try Sitejam Free No credit card required.